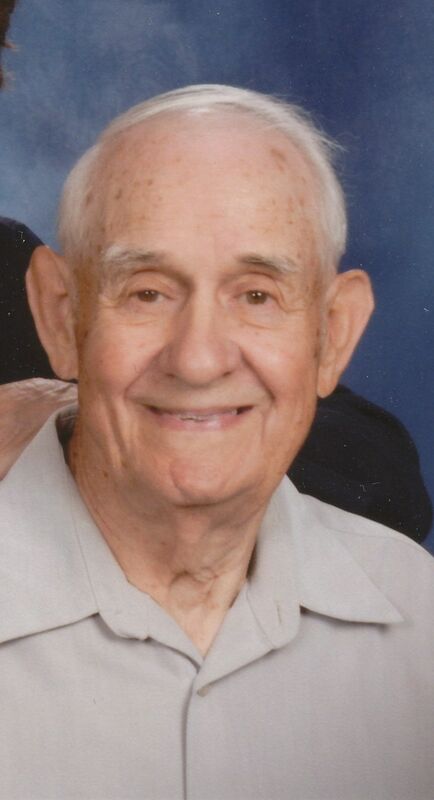 Thomas L. Williams, 90, of Allendale, IL, passed away peacefully Sunday, December 23, 2018 at Oakview Heights Continuous Care and Rehab in Mt. Carmel, IL. Thomas was born September 18, 1928 in Wabash County, IL, the son of Linder and Grace (Brewer) Williams. He married Leta Sue (Litherland) on May 22, 1955 at Wabash Presbyterian Church in Orio. They enjoyed 62 years of marriage. Thomas worked for General Telephone Co. (GTE) for 40 years before his retirement in 1990. He served his country for three years in the U.S. Army. He was stationed in Guam. He spent some military time in Japan and the northwest United States installing and working on transmission cables in the late 40s. Activities and hobbies he enjoyed were gardening, hunting, fishing, bowling, piecing quilts, nut harvesting (walnuts, pecans, hickory nuts), card playing, woodworking and craft making in his workshop. Thomas was a kind, loving and dedicated husband, dad and grandpa. He loved family time. Those left to cherish his memory include his wife of 62 years, Leta Williams; three daughters, Lisa Williams of San Diego, CA, Diana Williams of Seattle, WA, and Kelly Williams of Flagstaff, AZ; granddaughter Linnea Williams; two sisters, Dorothy Tarpley of West Salem and Shirley Brown of Mt. Carmel. Thomas is preceded in death by his parents; brother, Hershel; and two sisters, Lois Saltsgaver and Roberta McCrary. Visitation for Thomas will be Friday, December 28, 2018 from 10:30 a.m. to 12 noon with funeral service beginning at 12:00 at Wabash Presbyterian Church in Orio and burial to follow in the Orio Cemetery. Donations in Thomas’ memory can be made to the Alzheimer’s Association, Illinois Chapter, 8430 W. Bryn Mawr, Suite 800, Chicago, IL 60631. Envelopes will be available at the church or can be sent to Short Funeral Home. Short-Cunningham Funeral Home is honored to serve Thomas’ family.